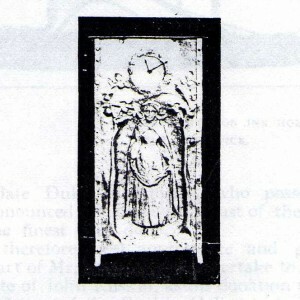 In 1900, Creswick exhibited a work entitled The Enchantress, at the Royal Birmingham Society of Arts, Spring Exhibition and ‘multiple exhibits’ at the Birmingham Art Circle (1). 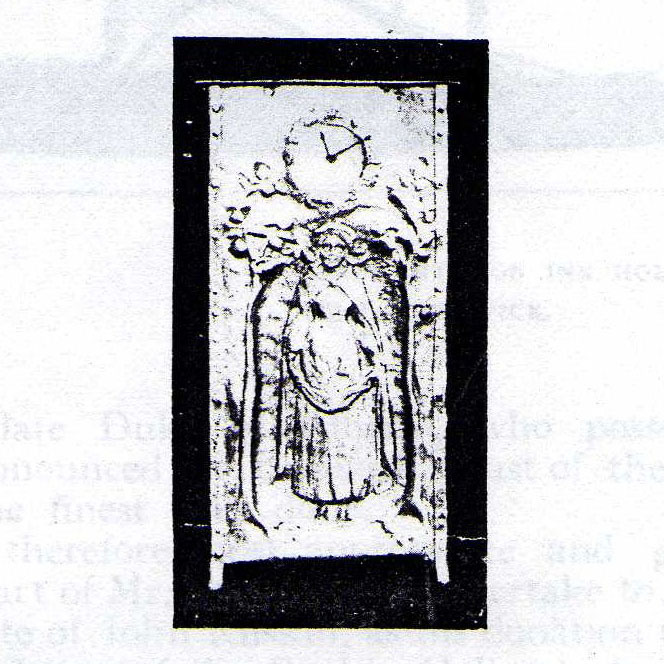 In 1901, Creswick exhibited works at the Royal Birmingham Society of Arts Spring exhibition, including a cigar box, and, in the Autumn exhibition, a Sketch model: Bishop Vesey, and, at The Birmingham Art Circle, he exhibited Sea Dreams & Smiths at Work (2). Creswick designed and made a series of boxes and caskets in the early 1900s, mostly in copper repousse (raised ornamentation is created by hammering the design from the back of the work). He also designed silver boxes, including one made by John Thomas Heath & John Hartshorne Middleton, London 1900, engraved “Benjamin Creswick designer”, beside the hallmark & maker’s mark. 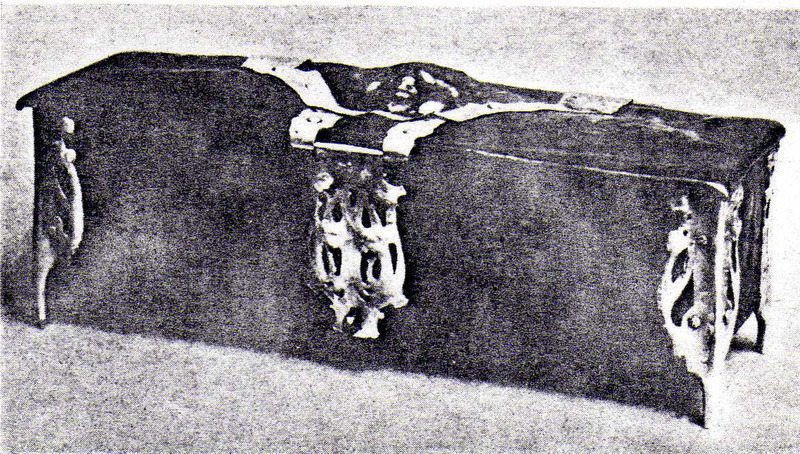 In 1901 The Studio Magazine in Studio Talk, illustrated a ‘copper jewel case with silver mounts’. This was referenced in a review of the Birmingham Society of Artists, which ‘made a departure from their usual custom and devoted a portion of their space to “Arts and Crafts” an interesting little collection of works by various artists including several well-known local men’ (3). 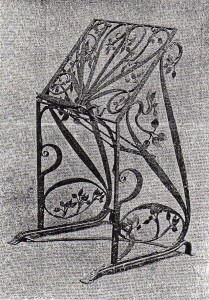 Creswick designed a copper repousse clock case, which was illustrated in the Birmingham Magazine but with no date ascribed to it (4). An undated repousse casket which was owned by Benjamin Creswick’s son Charles is presumed to be by Benjamin. It has been donated to the Sheffield Millennium Gallery’s Ruskin Collection to form part of the Ruskin legacy and is awaiting restoration. 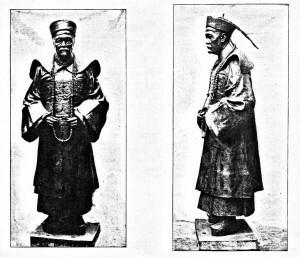 In 1903, Creswick exhibited in the Royal Academy, London (5) a work commissioned by the Engineering Institute, Penang, Malaysia. 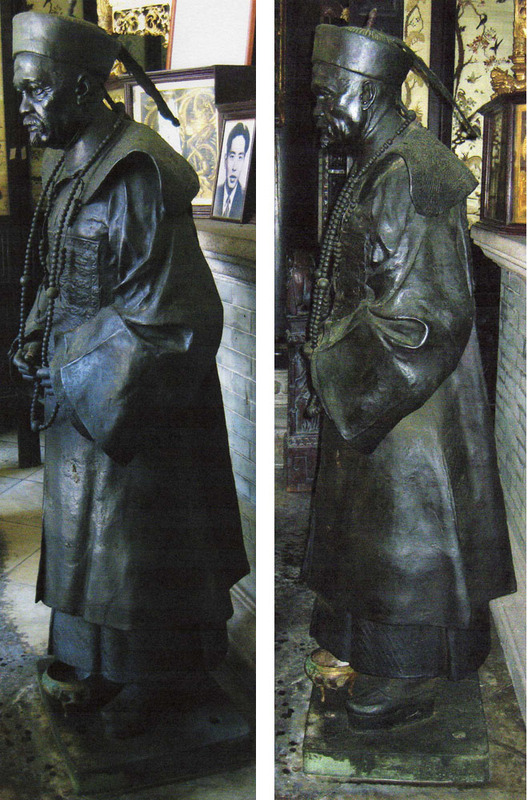 The work was a life size bronze statue of a Chinese Mandarin whose name (misspelt in the Academy records as Cheng Keng Luie and in the Birmingham Magazine, as Cheng King Lwi) was Chung Keng Kwee, known as Kapitan China. Chung Keng Kwee had been part of Chinese immigration to Larut on the Malay peninsula in 1841 and began working in the tin mining operations there (6). Rising in influence by the 1860’s, he became a leader among the anglophile Chinese philanthropists who found favour with the British. Chung Keng Kwee built a magnificent mansion which is known as the Peranakan Mansion, now a museum filled with the most exquisite treasures. The reason for the commission being given to Benjamin Creswick is one of the great puzzles in this research. The Chinese and Malaysian history of bronze founding is Given the world renowned: bronze was being cast in the Hongshan Neolithic sites of c 3500 -2500 BC and still carried great status in the 1900s. Why would the commission then be given to a Birmingham Sculptor? 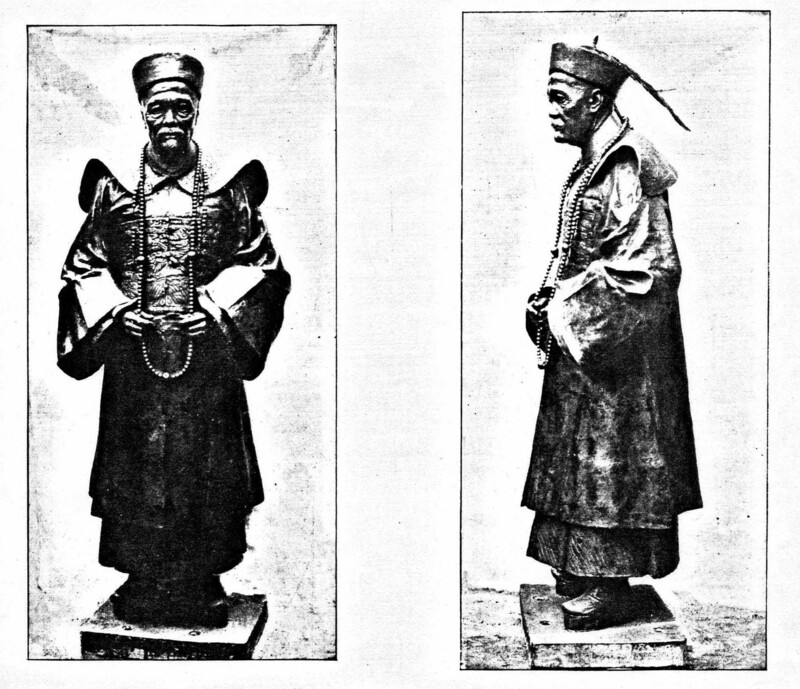 It is known that Chung gave the funding to the Engineering Institute for for a large-scale building to act as its headquarters. There is as yet no complete answer to the puzzle, which continues to be part of the ongoing research. The statue now stands in the temple within Chung Keng Kwee’s mansion, now included in the World Heritage Site of Georgetown Penang. The Institute erected a bronze plaque at a site near the temple on which it expresses its thanks To Chung Keng Kwee. Ogden notes that, by 1903, several of Benjamin’s sons were working with him at his studio in Jockey Lane, Sutton Coldfield and that they began to use the name Creswick and Sons. The sign outside their studio was illustrated in an article in the Birmingham Magazine (7). Ogden sees this development of a family business as having ‘led to Creswick’s withdrawal from the Bromsgrove Guild’ at this time. 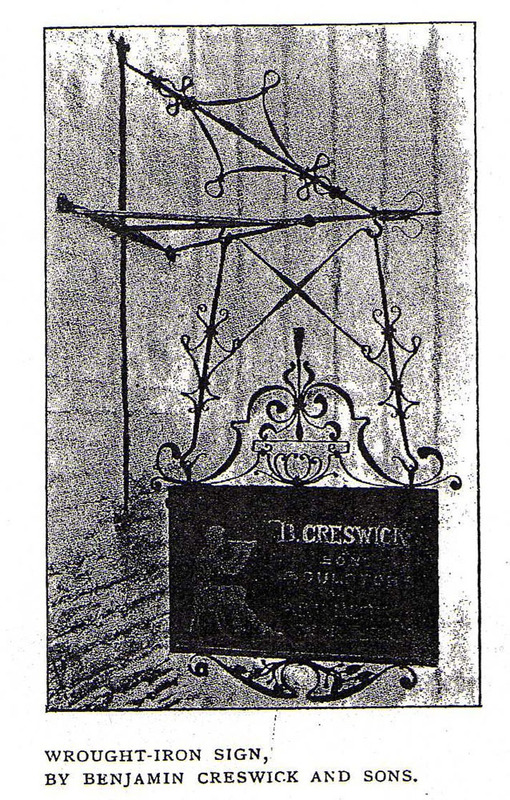 The Birmingham Magazine of 1903 illustrates many of Creswick’s works in an article entitled A Birmingham Sculptor, Monuments as we know them and as they should be. This article refers to works without giving dates or information on their exact whereabouts, or as in the case of ‘A frieze on an architect’s office’ the misleading information that the work was in Northampton, whereas it is in Nottingham. 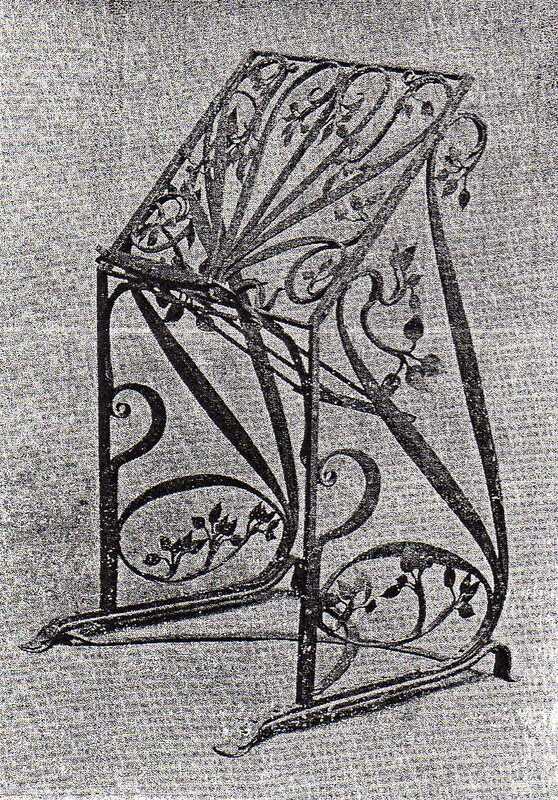 The magazine illustrates a bookstand in wrought iron which was to be presented by the masters and staff of the Birmingham School of Art to J. Thackray Bunce. Bunce was editor of the Birmingham Daily Post from 1862 to 1898, also Chairman of the Museum and School of Art Management Sub-Committee from 1885 until his death in 1899 (8). Bunce died within six months of retiring. It may be presumed that the bookstand was presented on his retirement. ‘designed, made blocks, constructed the machine and made the frieze on agricultural subjects 170 feet in length without a repeat – a feat hitherto unknown in the printing world’ (9). *vertu or virtu is an antique or a curio or work of art, other than a painting. There is no other reference to any works in ivory by Creswick, but it would have been typical of his thirst for new techniques to have tried yet another material in which to work. There seem to be no entries for 1904 in exhibition records, commissions or biographical. (6) en.wikipedia.org/wiki/chung_keng_quee I have been contacted by the great grandson of Chun Keng Quee (there are many versions of the name) and there is ongoing research into this subject which will be added to the site later. The following references have been invaluable to this section.